From providing telephone counselling services to troubled children and young adults, refuge to the victims of family violence or teaching across a wide network of schools, the Brothers are united in a charism, inspired by their Founder, the patron Saint of Teachers, St John Baptist de la Salle. 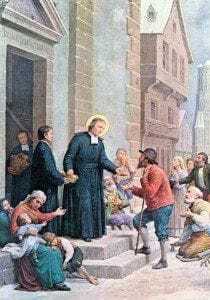 De La Salle renounced a life of wealth and privilege to establish a network of schools that catered for boys from disadvantaged backgrounds in France in the 17th and 18th century. At the time of De La Salle's death in 1719, there were 100 Brothers in 22 schools, teaching five thousand students throughout France. It is a mission which now extends to 80 different countries, involving five thousand Brothers and tens of thousands of Lasallian partners educating over 930 thousand male and female students. In Australia alone, the Lasallian charism is alive in 19 schools spread across five states, both in metropolitan and regional areas. While the De La Salle Brothers' permanent Australian foundation dated from 1906, they had already attempted to establish a foothold here in Western Australia in 1865. One German and one Irish Brother, Botthian (Peter Schneider) and Amphian (James Kenny) arrived on a ship from Singapore in 1865 to take charge of a school in Perth under the authority of the Reverend Martin Griver, the Apostolic Administrator. The two pioneering De La Salle Brothers were to stay in Australia less than two years and both struggled to adjust to the demands of a new country. It was not until 1905 that the teaching order decided to return to Australia. With the blessing of their Superiors, nine De La Salle Brothers from France and five from Ireland set sail from the English port city of Liverpool bound for work in pioneering schools in Australia. The then Archbishop of Sydney, Cardinal Patrick Moran had known the De La Salle Brothers well from when they had established their novitiate in his former diocese of Ossory in Ireland. He had a long-standing promise from the Brothers' French superiors that they would send him Brothers for Sydney. However he saw a greater need for the Brothers in the town of Armidale in northern New South Wales, rather than in Sydney after the Patrician Brothers had left the town in 1897, leaving an empty boarding school complex. The all boys school De La Salle College Armidale opened in February 1906 with nine boarders and eight day students. The Irish Brothers who taught there were joined by French Brothers who had been left without employment in their homeland after the passage of anti-clerical legislation in the early 1900s, aimed at destroying the influence of the Catholic Church in education. But very soon after their arrival in Australia, the French Brothers found themselves in the embarrassing position of being unwanted and unwelcome. Several weeks after their arrival in Armidale, the French Brothers left Australia and were sent instead to Sri Lanka where they were made to feel more welcome and quickly assimilated. 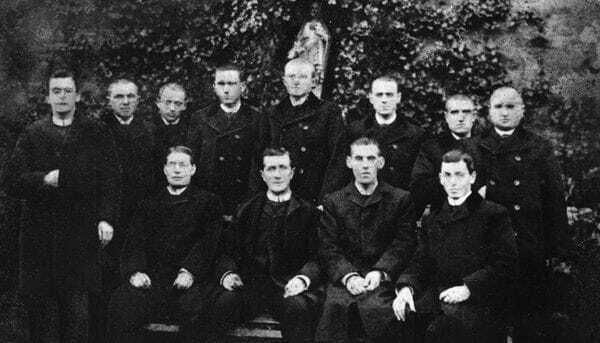 Despite this early setback, the mission of the De La Salle Brothers expanded rapidly over coming decades in New South Wales and Victoria with new schools and communities established in Surry Hills (1909), in Malvern (1912), Cootamundra (1913) and Ashfield (1916). The schools were entirely staffed by Irish Brothers with 75 of them making the long voyage by boat by the late 1930s. 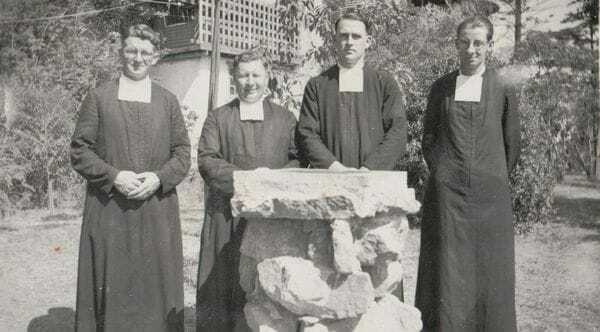 The Brothers expanded into Queensland in 1932, establishing a school at Roma in the Diocese of Toowoomba and the need to establish a larger training college became increasingly apparent. 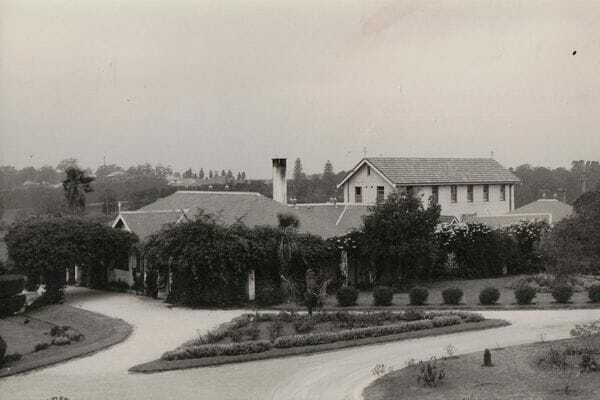 Under the leadership of the then Provincial, Br Benignus White, a training college was built on 72 hectares of land at Castle Hill, north-west of Sydney in 1936. The property was known as 'Oakhill' and the Brothers constructed a three storey building on the site which included a central chapel which could accommodate 200 people. A boarding school opened with only four students in 1936 under the supervision of Br Stephen O'Farrell. The founders of Oakhill College would never have conceived that 80 years later, the school boasts an enrolment of 1600 students. 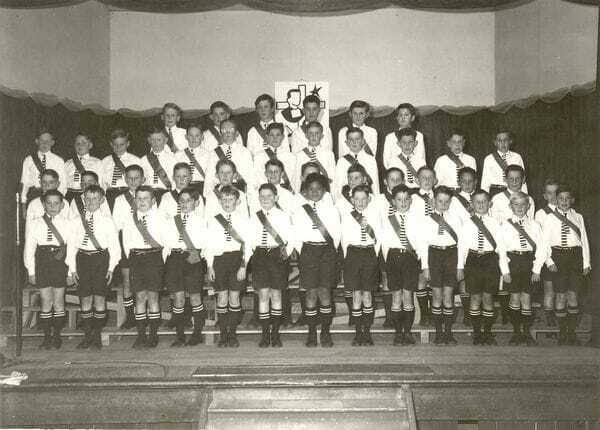 The strong migration from Europe after the Second World War pushed the Brothers to establish more schools and to recruit more Brothers to staff them. Ten new schools were established in the post-war boom years, including St Michael's College in Adelaide (1954), De La Salle College in Perth (1954) and De La Salle School at Scarborough in Queensland (1955). 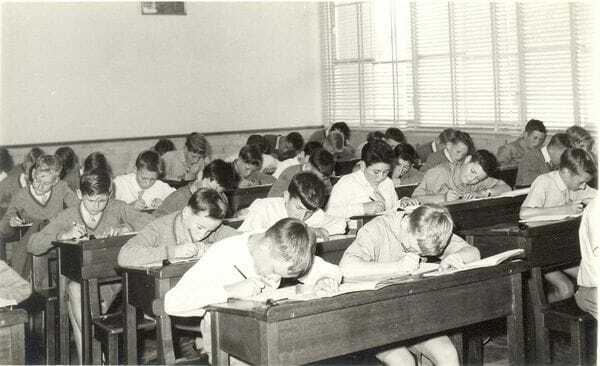 The 1950s also saw the rapid expansion of Brothers communities and schools in Sydney, including at Bankstown (1951), Lakemba (1954), Kingsgrove (1956) and Caringbah (1958). The post war migration boom led many Catholic schools to become over-crowded with class sizes as large as 70-80 students to accommodate such strong demand. It was around this same period that lay teachers took on a more significant role in Catholic schools. By the 1960s, the De La Salle Brothers in Australia had begun looking to expand their mission beyond schools and into the area of welfare work. In 1961, the Brothers opened BoysTown at Beaudesert, south of Brisbane, where boys from disadvantaged backgrounds could receive basic training in farmwork, metalwork, woodwork and automechanics. From its foundation, BoysTown was reliant on fundraising from an Art Union and it has since grown to become the largest charity of its kind in Australia, under its more inclusive name of yourtown. The 1960s marked a major period of change for the De La Salle Brothers, following the reforms of the Second Vatican Council. The 1966 General Chapter allowed Brothers to retain their baptismal and family names if they chose to do so, rather than having to adopt a religious name and they were also permitted closer relations with their families than in the past. The same General Chapter also removed the restriction on the De La Salle Brothers teaching girls, which helped ensure that a number of Lasallian schools became coeducational. By the mid 1970s, two Sydney schools- Oakhill College and De La Salle College Cronulla became coeducational in Years 11 and 12. 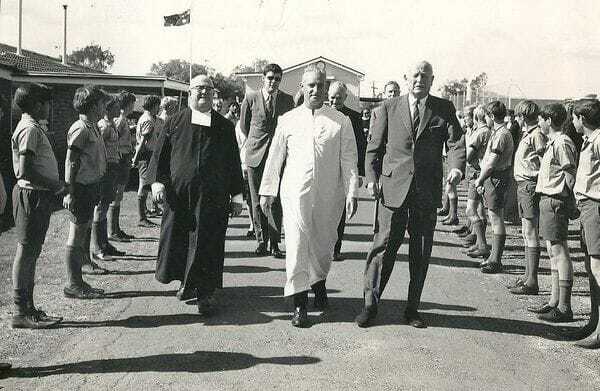 The 1970s also saw the establishment of the Catholic College of Education at the De La Salle Brothers Training College at Castle Hill under the leadership of Br Ambrose Payne. It involved the amalgamation of a number of training colleges for religious teaching congregations and also opened up its courses to other laypeople. Br Ambrose's visionary leadership helped lay the foundations for the eventual establishment of a national institution in the early 1990s- the Australian Catholic University. The De La Salle Brothers expanded their welfare work in 1976 with Br Finbar Kelly establishing the San Miguel centre near Richmond- a BoysTown project which provides crisis accommodation to parents and their children in need. It was a great success from the outset, assisting 180 people in crisis situations during its first 14 months of operation. 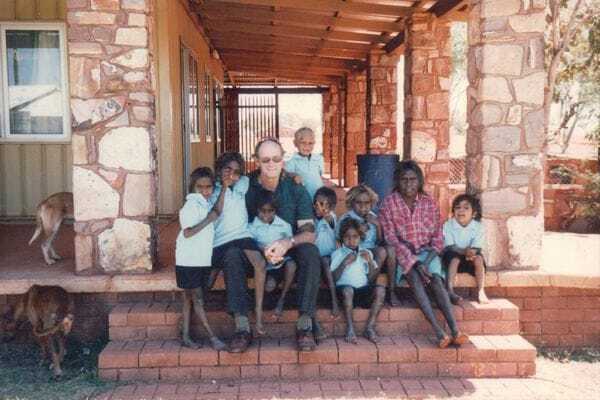 In the 1980s, the Brothers established a new community in an Indigenous community in Western Australia's remote Kimberley region. The Brothers worked alongside the Sisters of Mercy to staff the Luurnpa Catholic School and also established the Kutjungka Trade Training Centre. 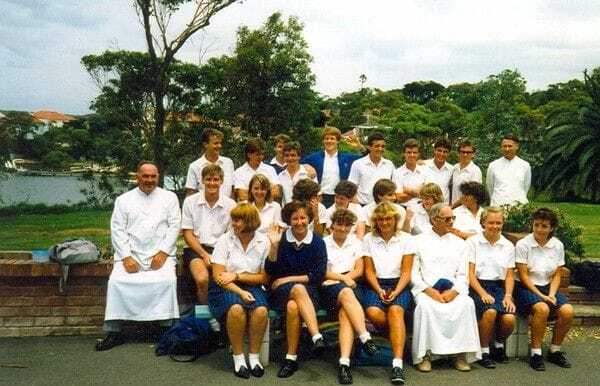 In the early 1990s, the De La Salle Brothers expanded their formation programs for teachers and BoysTown staff, acquiring the Highway Motel at Narooma on the New South Wales south coast as a retreat and conference centre. Teachers and principals from across the Asia-Pacific region flocked to Narooma for Lasallian formation courses and by 1997, 400 staff had participated in them. 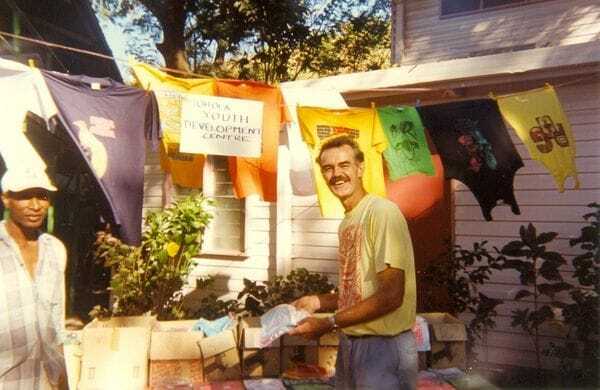 The 1990s was also a golden era for BoysTown (now known as yourtown) with its Chief Executive Br Paul Smith establishing a national telephone counselling service in 1991- Kids Helpline which continues to flourish today. Drawing on sponsorship from major companies such as Kelloggs and Optus, the Kids Helpline has rapidly expanded over the past 25 years to now cover web counselling services including the award-winning Kids Helpline @School program. 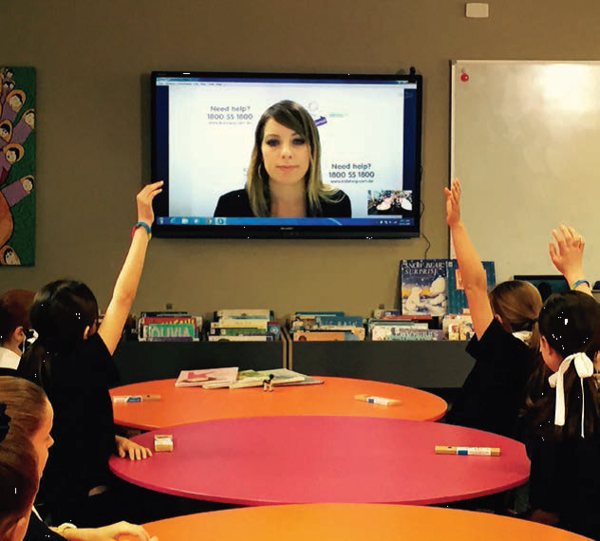 This allows tertiary qualified counsellors to run sessions with primary school classes via videolink on topics such as peer pressure and cyber bullying. In 2004, the De La Salle Brothers also expanded their mission into aid projects across the Asia-Pacific region and South Sudan through the Lasallian Foundation. The foundation has helped combat poverty and greatly expanded educational opportunities for students in some of the most disadvantaged communities in the world. The De La Salle Brothers have been at the forefront of secondary schooling and teacher education in Papua New Guinea for the past 70 years and there are currently five schools and two teachers colleges that have embraced the Lasallian charism. But the Brothers' initial involvement in the country extends back further than that to 1914 when four German Brothers set up a community in New Britain. However within months of their arrival, Australia was at war with Germany with Australian forces occupying Rabaul where they were based. The Brothers persisted with managing a boarding school during the First World War, but by 1921 they had all returned to Germany. The more permanent foundation occurred in 1946 after the Bishop of Yule Island, Alain de Boismenu MSC approached the De La Salle Brothers in Australia, asking them to send Brothers to Papua New Guinea. Four Brothers in Sydney- Patrick Howard, Lucian Thorpe, Anthony Broderick and Celsus Maguire were selected to undertake the mission and they started a primary school with 83 boys at Bomana, on the outskirts of Port Moresby in February 1946. The Brothers built the school themselves, using materials abandoned in the bush at the end of the Second World War. Two years later, Bishop Andre Sorin in his role as Vicar Apostolic of Papua, moved the Brothers to a primary school on Yule Island. The 1960s marked a period of great expansion for the Lasallian mission in Papua New Guinea with two teachers colleges opening on Yule Island in 1960 and 1964, which later amalgamated to form Sacred Heart Teachers College. The college has since moved to Bomana and continues to produce outstanding graduates who work in schools across Papua New Guinea. As was the case in Australia in the 1960s and 1970s, the De La Salle Brothers increasingly turned their attention towards secondary rather than primary education in PNG, establishing new high schools at Bomana and Kondiu. The Lasallian Mission expanded into the PNG Highlands with a new Brothers community and the establishment of the Holy Trinity Teachers College in Mount Hagen in 1979. Another major development for the PNG Lasallians came in 1993 when they expanded their work into vocational education and training through the Hohola Youth Development Centre under its first Principal, Br Denis Loft. The school continues to offer trades training programs to secondary schools today under a new name- La Salle Technical College. As the De La Salle Brothers celebrate 70 years of continuous education in PNG, there are promising signs of an expanding Lasallian mission ahead in the country, with primary schools in remote provinces such as New Britain and East Sepik province increasingly adopting the Lasallian charism. The De La Salle Brothers were the last of the major congregations of teaching Brothers to arrive in New Zealand, arriving in the country in 1953. 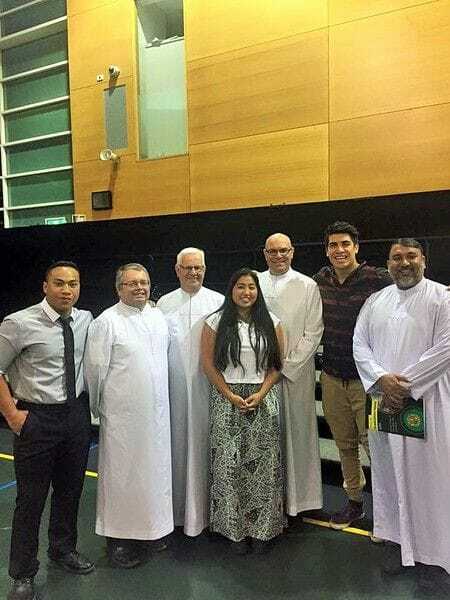 The Lasallian charism is embraced in three schools on the North Island- De La Salle College Mangere East in Auckland, Francis Douglas Memorial College in New Plymouth and John Paul College in Rotorua. However the Brothers began their mission in the town of Blenheim, on the northern tip of the South Island when they took charge of a primary school in 1953 with 91 pupils, previously conducted by the Sisters of Mercy. Later that same year, three Australian De La Salle Brothers established a community at Mangere East in South Auckland. 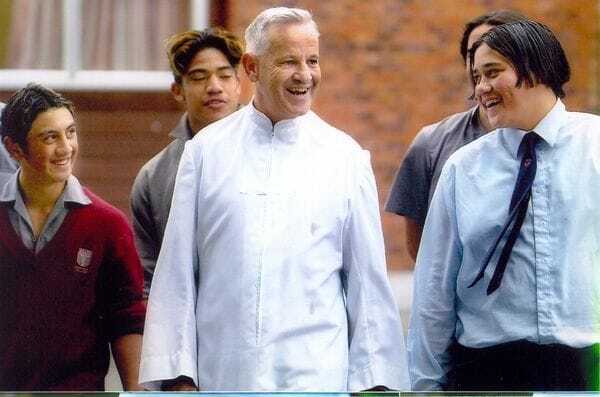 Brothers John Cleary, Peter Duffy and Edmund Young were tasked with setting up the school to cater for disadvantaged students and it continues to thrive today as De La Salle College Mangere. The Lasallian mission expanded into the rural North Island town of New Plymouth in 1959 with the establishment of Francis Douglas Memorial College. The school was established to cater for many boarding students from surrounding areas and was named in honour of a Columban missionary priest who was killed in the Philippines during the Second World War. As the New Zealand Brothers chose to focus increasingly on secondary education, they withdrew from St Mary's School at Blenheim in 1972. Demographic changes in South Auckland meant that the De La Salle Brothers in Mangere were increasingly teaching Maori and Polynesian students. Under the leadership of Br Sir Patrick Lynch, the college expanded rapidly and gained a strong academic reputation with many students gaining entry to prestigious university courses across New Zealand. It was the start of a remarkable career for Br Sir Patrick, who was himself a graduate of the school. 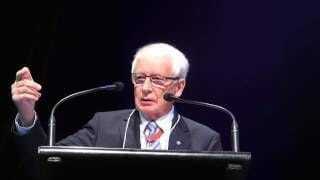 He went on to lead the Catholic school sector across New Zealand for 20 years as Executive Director of the NZ Catholic Education Office and took a role on the global stage as the New Zealand government's representative to UNESCO. 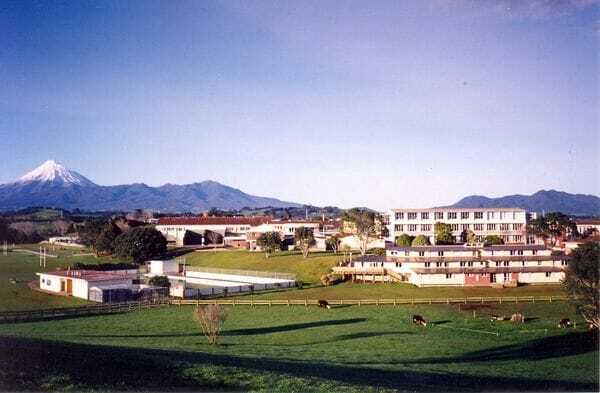 In 1996, the Bishop of Hamilton, Most Reverend Denis Browne made a request for the De La Salle Brothers to help in the establishment of a new school in Rotorua, John Paul College. The coeducational secondary school has been a multi-charism school since it was founded, bringing together not only the De La Salle Brothers, but also the Christian Brothers and the Sisters of St Joseph. Marked by its rich cultural diversity, the school is also home to a vibrant branch of the international lay Lasallian group, Signum Fidei. The De La Salle Brothers began their mission work in Pakistan in 1960 , but only joined our District in 2012. They have been at the forefront of promoting educational opportunities for boys and girls and currently manage 11 schools across Faisalabad, Multan and Khushpur. The schools take pride in maintaining strong academic standards and they can boast prominent alumni in the business and political arenas including the former Prime Minister Yusuf Gilani. They also welcome both Muslim and Christian students and have therefore played a key role in fostering interfaith harmony in Pakistan. Many of the schools serve students in disadvantaged areas where parents struggle to pay tuition fees and basic infrastructure is very poor with many schools facing regular power outages and students struggling to access clean drinking water. The Lasallian Mission Council and the Lasallian Foundation have embarked on a new Twinning project in our District to help strengthen resourcing for fellow schools in Pakistan. Through annual Mission Action Days, Lasallian schools in Australia and New Zealand have been twinned with fellow schools in Pakistan and Papua New Guinea. Funds raised through these events will go directly towards these fellow Lasallian schools and there are also plans underway for teacher and principal exchanges between the countries in our District to help forge closer ties in professional development as well. There are promising signs for future vocations in Pakistan with the average age of a De La Salle Brother in the country around 34 and 16 young men currently undergoing training whether in Pakistan itself or through a regional novitiate program in Sri Lanka and the Philippines.